Happy 90th Birthday to long time CMI friend and volunteer of The Curtiss Mansion, Irene Priess. Irene volunteers every Tuesday and Thursday here at The Mansion and keeps us all in line :). We love you Irene and appreciate all that you do for us ! Although in high season, we have managed to carve out a weekend in December for our very First Tree Festival including a Teddy Bear Tea for the children. This will take place Saturday, December 9th & Sunday, December 10th. See below for further information on both. The Teddy Bear Tea will have several seatings and must be pre registered at Curtissmansion.org/RSVP. All proceeds will benefit The Curtiss Mansion for capital improvements. Curtiss Mansion, Inc is a 501c3. 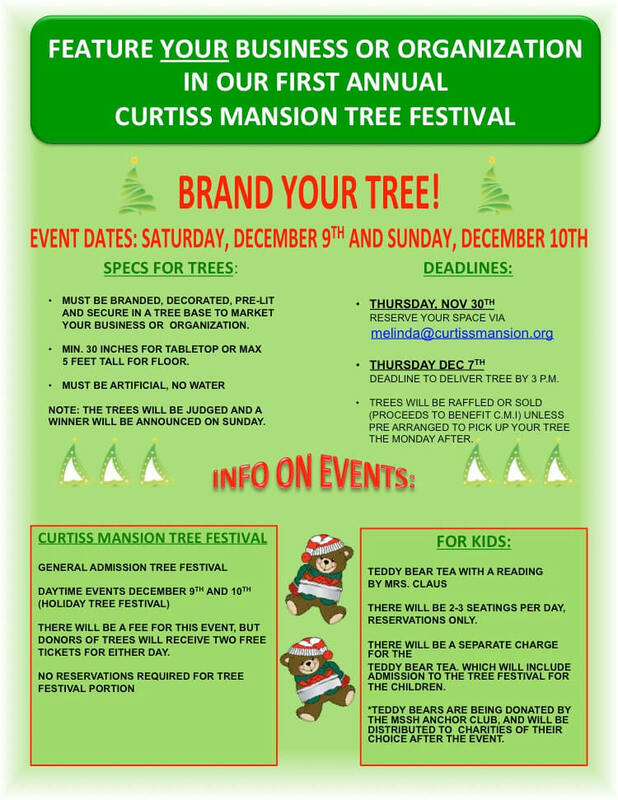 If you are interested in having a tree in the tree festival – please contact me directly at Melinda@curtissmansion.org. There are also specs below on tree inclusion. Anyone is welcome to exhibit a tree – this is also an excellent opportunity to brand a Tree and promote your business. 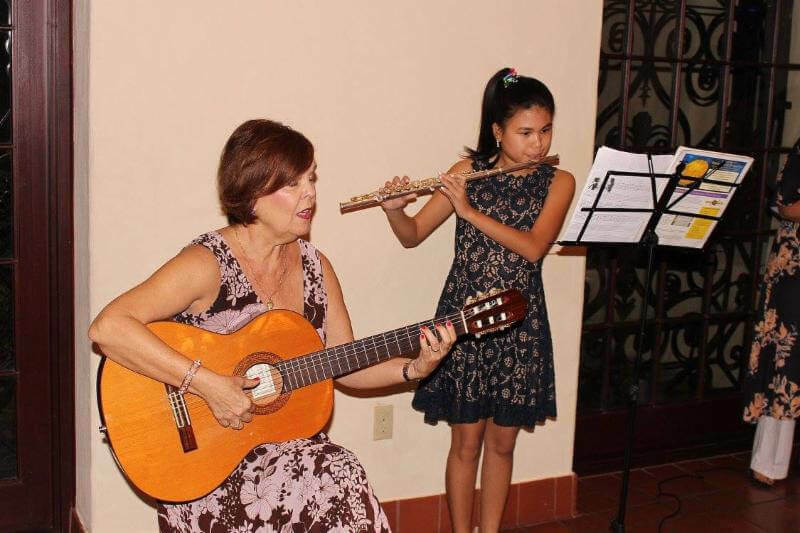 Our Latinos in America Event took place on October 14th. What a beautiful evening filled with Cuban Art, Music, Food and lots of Love! I urge you to come see the kiosk one Saturday morning along with a historical tour of the Mansion – every Saturday at 10am! Thank you to all of our docents who have been training in order to make the tours possible. I appreciate how hard you have been working and your commitment to a Saturday morning in giving a tour. Your passion and dedication has not gone unnoticed. 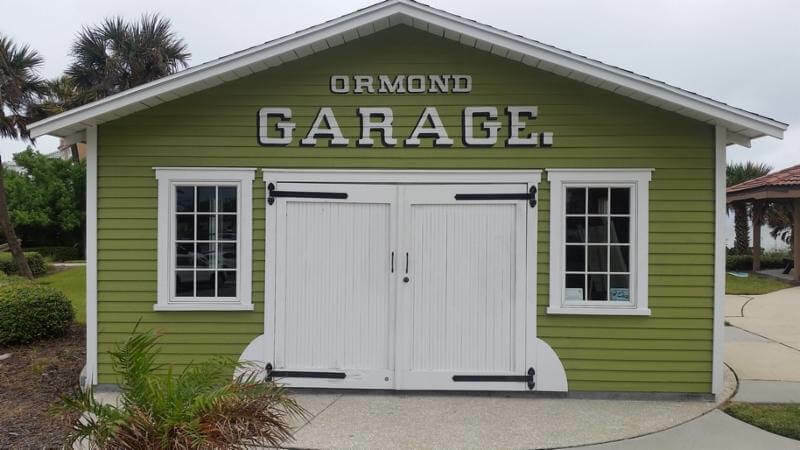 YOU are making our growth a reality – sharing and teaching others about Glenn Curtiss, the beautiful architecture he brought to the area and his vast contributions that need to be remembered. MUCH THANKS. Excited to announce that we are now a partner with WLRN Radio. Spots have been running in addition to in kind mentions during their popular NPR shows. 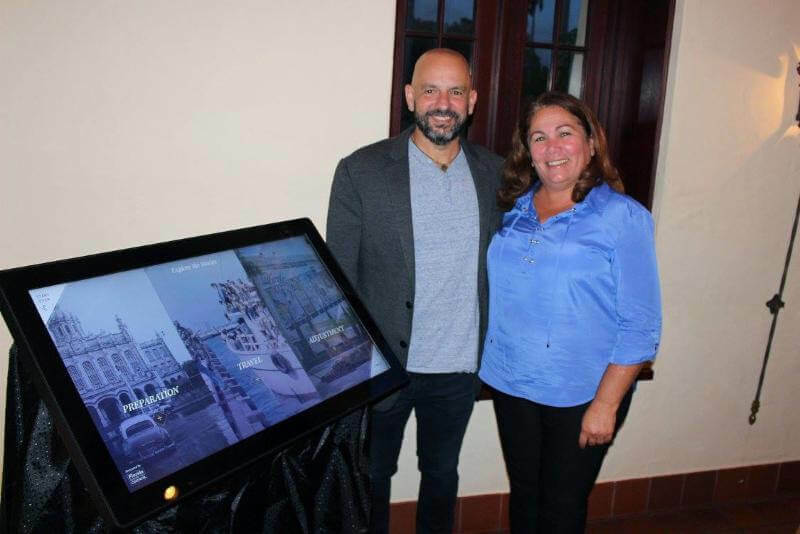 In hopes this will help build exposure to our Mansion locally – a true Miami Treasure – and to help make Glenn Curtiss a household name again. 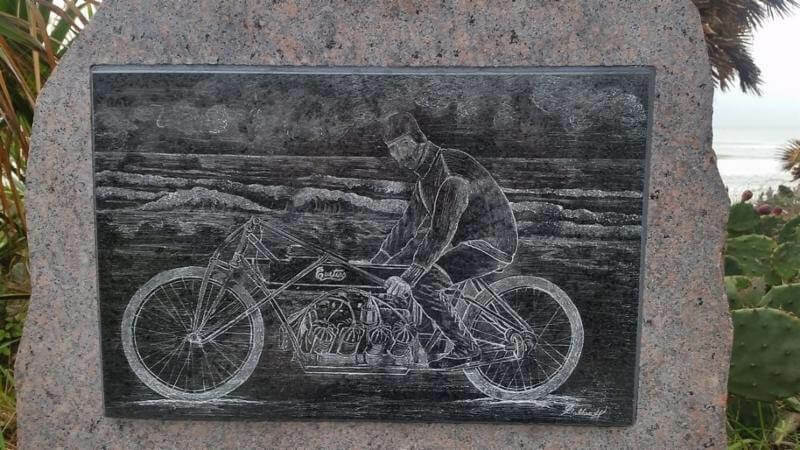 Especially here in Dade County where he made such an impact during the 1920’s land boom along with his obvious contributions to Aviation and Invention. 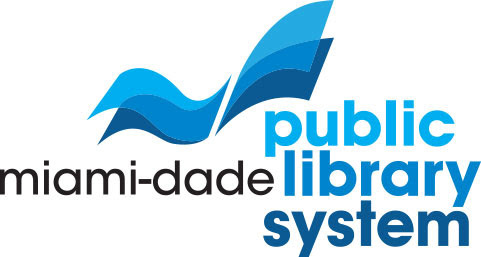 CMI continues working closely with the Miami-Dade Public Library System. Along with their support in our growing Curtiss Explorers “Unsung Hero” Essay Contest, we have also joined their Museum Pass Program. Families will be able to check out a pass and come to our historical tours on Saturdays free of charge. Passes will be available soon! May the end of the month bless you all with a wonderful Thanksgiving. Hope to see you at our Holiday Tree Festival in early December! Thank you to everyone who attended the Launch Event for our “Latinos in America” Interactive Kiosk. 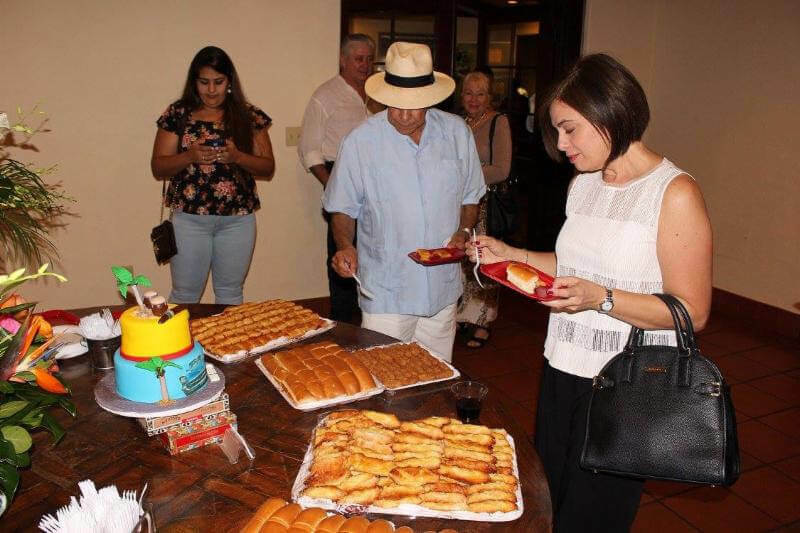 A special thanks to our performing artists and Miami Springs Residents, Maria Elena Vallejo and her daughter Lucia Costas, and painters Miguel Saludes and Alvaro Labañino. 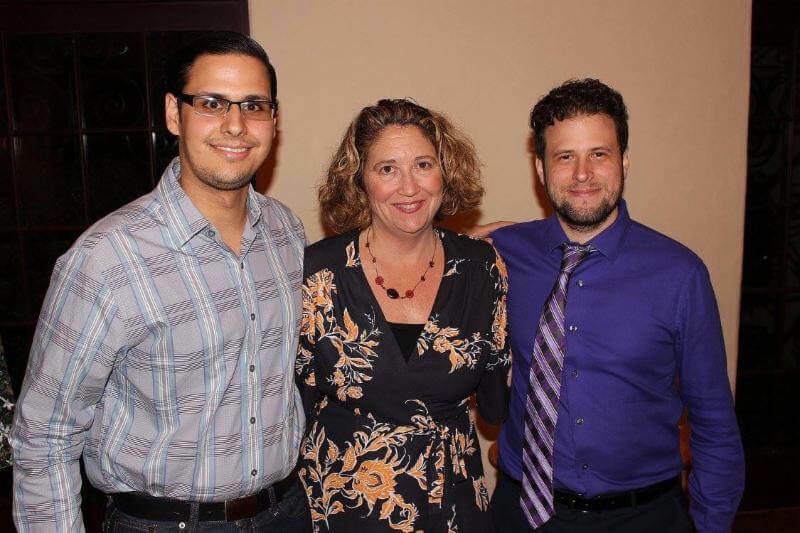 And a special, special thank you to Tony Feijoo for Producing & Directing the project, JoEllen Phillips for the original grant & vision and of course The Florida Humanities Council. The kiosk is currently on display every Saturday morning during our historical tours from 10am-11am. Announcing our very First Tree Festival as well as a Teddy Bear Tea for the children! Fun for the whole family. Please note admission charges above to benefit The Curtiss Mansion. Hope to see you the weekend of Dec 9th & 10th ! Click HERE to register for the Teddy Bear Tea. Don’t miss this amazing opportunity to showcase your business or organization! Curtiss Mansion is hosting its first annual Tree Festival. YOU can submit your own creation to be put on display. Reserve your space by November 30th. 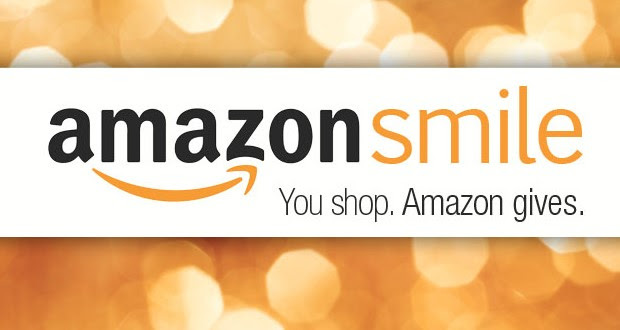 When you enter you will receive two free tickets for the festivities on either December 9th or 10th. 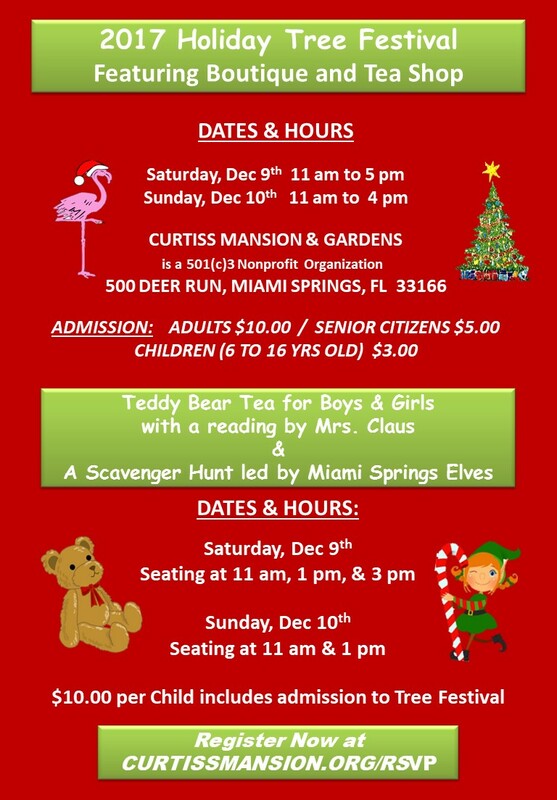 On December 9th and 10th all of the trees will be showcased along with a Teddy Bear Tea featuring a reading from Mrs. Claus and appearances from Santa’s Elves too. 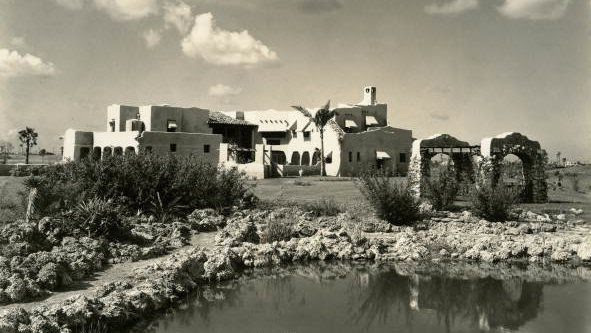 Curtiss Mansion Inc. is happy to announce that it has partnered with WLRN. Listen for our commercials and in-kind mentions during their popular NPR Broadcasts. Make sure to keep your eyes open for another amazing partnership coming soon to your local library! There will be library passes for families (up to 4) to check out for our Saturday Tours. 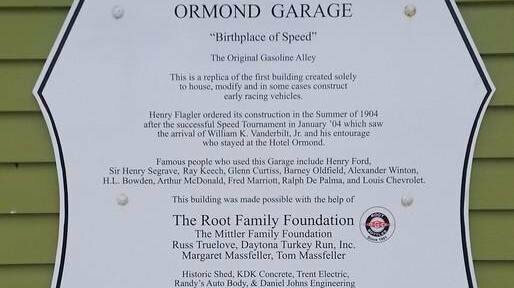 Here are some photos from the Birthplace of Speed Park and the Ormond Garage that commemorates when Glenn Curtiss became the “Fastest Man in the World” in Ormond Beach! 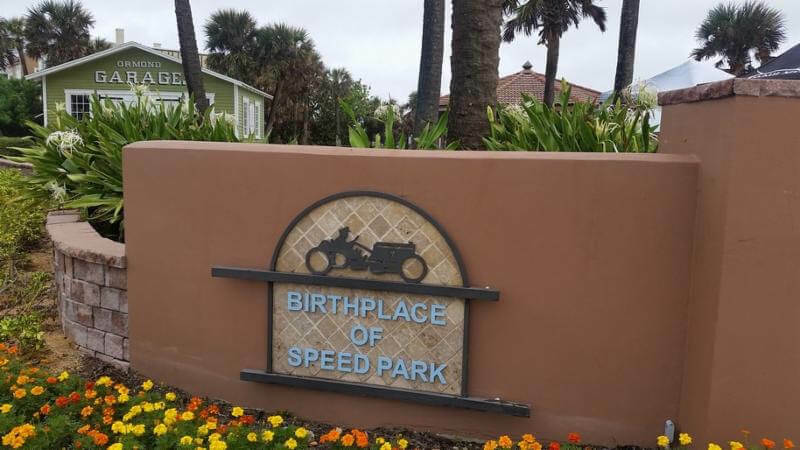 The park itself has places to picnic, out door grills, and is a very scenic place to gather with family and friends. Thank you to Sam Chesser for visiting and sending these. 500 Deer Run / Miami Springs, FL 33166$5/pp Kids under 12 FreeCome see us Miami! 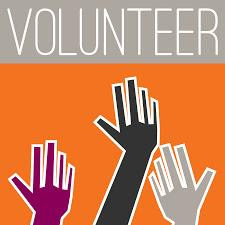 LEND A HAND & MAKE A DIFFERENCEWHAT ARE YOU INTERESTED IN?